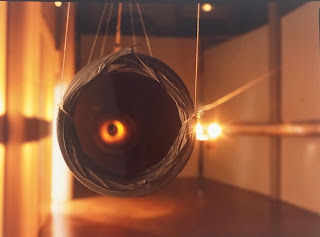 The work of Bertrand Lamarche experiments with the convergent and simultaneous sensation of two experience, confronting the human body with his physical scale and with a certain culture of roaming arround the city. In this Sense, the piece Tunnel, which was first presented at the Bretigny sur Orges ART CENTRE, and Then at ARCO 99, by the sous sol Gallery, is certainly exemplary. Says Nicolas Chardon, of the Sous sol gallery: «there are three cables streched out parallel to eye level from one side of the exhibition room to the other. 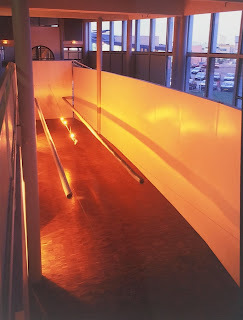 The central cable suspend a series of rails, on each one of which there are two spinning orange lights, while over the other two cables there is a long, flexible ventilation tube. 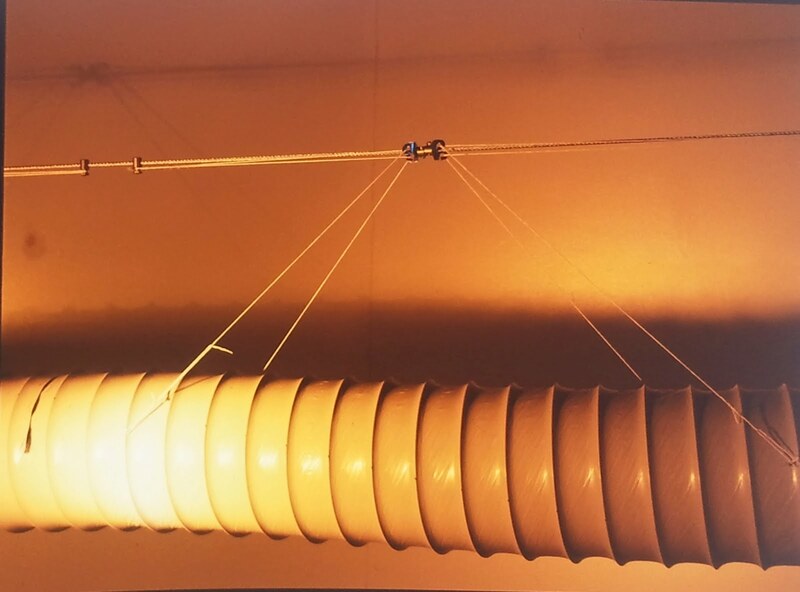 The spinnng light are intercepted by the plastic walls of the tubes, suspended at the same level. 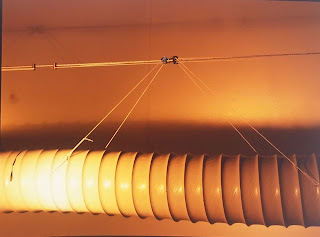 like an echo of these lights , one can see, looking inside the tubes from each end, some orange rings, which, depending on the direction of the lights, go forward or backwards, always following the structure of the duct.